It's been a while since I last sat down at the studio and recorded my first album of solo piano pieces. This is partly because composing music just takes a lot of time, but also because this new album so accurately describes a fresh chapter of my life which has been ever unfolding before my eyes. My hope is that these songs would not only be enjoyable to you, but bring joy into your life. If you like what you hear, please consider sharing the music with the people you know. Thank you for taking the time to listen. My Creator and Savior—no words can express my thankfulness for the life and purpose I have been given. Dad, Mom, Leah—thanks for being there when I needed it most. You make me see the beauty in the simple things of life. John Kraemer, thank you for your invaluable assistance in finalizing these songs. Joe Bongiorno, thanks for all you do at the studio to make this album absolutely stunning. David Nevue, thanks for all your valuable advice and support. I'm not sure where I'd be without it. Finally, my sincerest heartfelt thanks goes out to all you encouraging, lovely people who love, share, and support my music—you know who you are. Produced by Zachary Bruno. Recorded on a lovely Shigeru Kawai SK7L. Engineered and mastered by Joe Bongiorno at Piano Haven Studio in Sedona, AZ. Cover photo by Chandler Erisman. 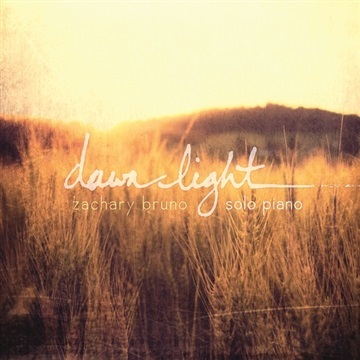 All compositions written by Zachary Bruno. Copyright 2014 Zachary Bruno. All rights reserved.